Accident Forgiveness – is it Right for You? Your back is an intricate core of bones, muscles, and other tissues extending from our neck to your pelvis. Back injuries can result from sports injuries, car accidents or a slip and fall at work. Lower back pain is the most common area of back injuries. Injuries such as the ones mentioned can lead to chronic pain and limit ones movement. Treatments may include physical therapy or surgery. Herniated disc injuries often occur from violent vehicle accidents. The impact from a car collision can put stress on the spinal column in a piece of the spinal structure (called a disc) that separates your back bones or vertebrae, to move out of place. These injuries are called slipped or ruptured discs. Accident victims experiencing a sharp pain in their back, leg or foot, should see a doctor immediately and a good lawyer. According to OSHA, back disorders can develop gradually as a result of microtrauma brought about by repetitive activity over time or can be the product of a single traumatic event. * Stressful working activities–staying in one position for too long. * Lifting, pushing, pulls, or carrying objects. * Poor physical health and pressure to tasks with strain. * Poor design of job or work station. * Repetitive lifting of awkward items, equipment, or (in health-care facilities) patients. * Vibration, such as with lift truck drivers, delivery drivers, etc. 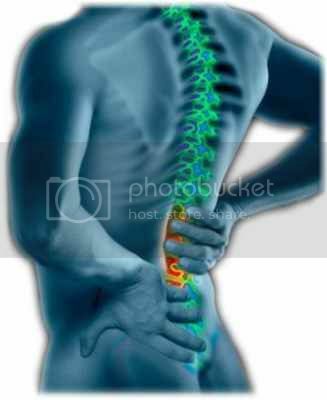 Anyone who has ever experienced a back injury or a spinal cord injury knows how painful it can be. It can be so painful that there is no way a person could return to work. Back problems are tricky. Anyone who is experiencing severe back pain, must be upfront and honest with their doctor. Your back is the core of your body. You have to seek the right type of medical attention. If you have experienced a work-related back injuries, it is important to get the help quickly. Find the correct physician to treat you, help file your workers compensation claim, and get you back to work.